Alanya Towers is ideally located in a neighbourhood that provides a tranquil, downtown living environment in Alanya... Alanya Towers is being built on the last available city centre. 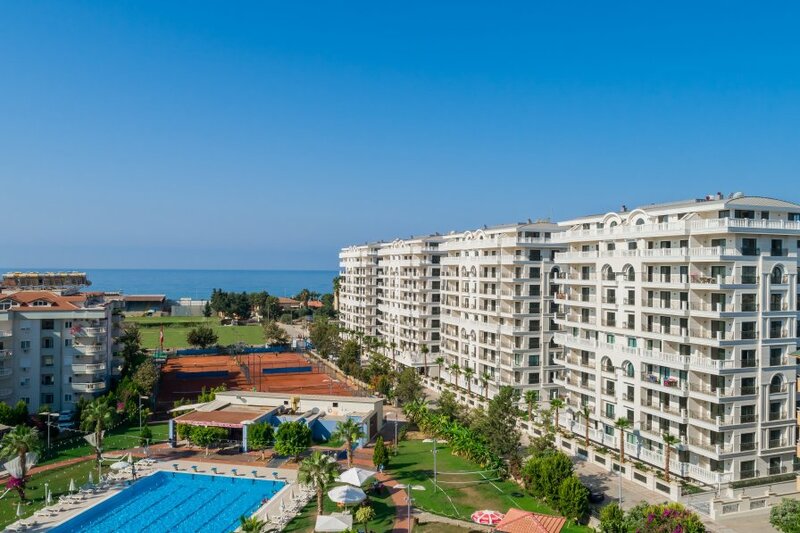 Alanya Towers is a private, enclosed residential project that comprises four buildings and 116 units and being built just 150 m away from the sandy beach. Delivery date of the complex is 30.08.2018. Alanya Towers is ideally located in a neighbourhood that provides a tranquil, downtown living environment – at the same time, all that Alanya has to offer is just around the corner – shopping centres, restaurants, bars, nightlife and sports facilities. Alanya Towers is being built on the last available city centre plot that is so close to the beach – there are no other comparable plots that are still available for development. The unique location (and absence of similar projects) means an opportunity for excellent rental returns and potential for strong capital growth. The price increases applied during the construction period will further enhance your investment. To maximize your enjoyment you will find a wealth of on-site facilities, offering stimulation and relaxation in equal measure. More than 1400 m2 of exclusive amenities will help you to experience a fulfilling lifestyle of diversity and comfort. There are annual international tournaments of triathlon, beach volley, beach soccer as well as bicyle races. It is possible to do paragliding, sup, horse riding, snorkling, scuba diving, carting, ancient cities’ trekking, rafting, fishing, hunting in Alanya.